The case for lead-free brassware has been gaining momentum recently after a number of incidents of lead contamination in drinking water. Adelle King reports. There has been growing public concern about the risks of lead dissolving into drinking water from brass plumbing products after a number of high-profile incidents where traces of lead were found in drinking water supplies. These include at the Perth Children’s Hospital and in public drinking fountains in Geelong and Warrnambool in Victoria. This concern has led to arguments that Australia should follow the US and adopt lead-free brass legislation to eliminate the risk of brass fittings slowly leaching trace amounts of lead into drinking water. Lead-free in this case refers to a mandated lead limit of 0.25% in plumbing fittings, which the Plumbing Products Industry (PPI) Group has called for to be included as part of the National Construction Code (NCC) cycle of 2018-2022. In its 2018 policy position paper, Lead in Drinking Water, the PPI Group says it would like to see a minimum timeframe for change to lead-free materials no earlier than 2022 to ensure a positive investment climate that encourages new processes and product technologies. “PPI Group supports properly developed measures that further reduce risks from the effects of lead leaching into the communities’ water supply. We believe PPI Group has an important role to play in assisting Industry and Government to adopt changes that achieve this goal and we fully support a move to lead-free materials in the Plumbing Code of Australia (PCA),” says the policy position paper. Lead is a persistent, bioaccumulative and toxic substance, meaning is has a high resistance to degradation, high mobility in the environment and high toxicity. It is also easily absorbed into the human body through consumption, ingestion or inhalation and can cause adverse neurocognitive and behavioural issues. “Lead can act as a poison and is particularly dangerous once it gets into a person’s system as it’s distributed throughout the body the same way helpful minerals such as iron, calcium and zinc are,” says Methven brand manager Nick Swan. 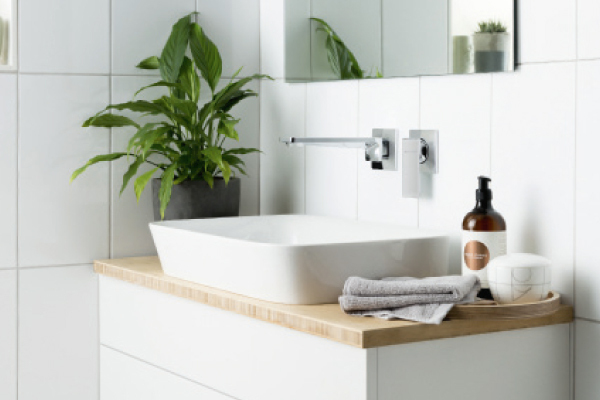 Methven manufactures tapware ranges that are lead and heavy metal-free to preserve water quality for both consumption and bathing. They are made using Eco Brass, a lead-free brass alloy that eliminates the problems of dezincification corrosion and stress corrosion cracking. “Reducing the amount of lead in plumbing fittings obviously reduces exposure to lead so introducing similar restrictions to those in the US would cut down on unnecessary exposure levels, even if they are low,” says Nick. Even low exposure levels can cause harm in humans and globally there is a clear consensus that there is no safe level for lead exposure. Despite this, a study by Macquarie University in 2016 found that of the 212 homes tested in New South Wales, 8% had levels of lead above the Australian Drinking Water Guidelines (ADWG) of 0.01mg/L of water. The research also analysed household plumbing fittings and found these are a significant source of drinking water lead contamination. Additionally, an American study published in The Lancet Public Health earlier this year found that blood lead levels between one and five micrograms per decilitre (considered average ‘background’ exposure levels in Australia) increase the risk of premature death. The study monitored the lead levels of approximately 14,000 people over 20 years and found that this low level exposure is a leading risk factor for premature death, particularly from cardiovascular disease. In response, the Australian Building Codes Board (ABCB) has commissioned Macquarie University professor Mark Taylor to examine the potential for plumbing products and materials to contribute to the presence of lead levels in drinking water in excess of those permitted by the ADWG. Mark’s report, Lead in Plumbing and Materials, was completed in August but has been labelled confidential until it’s presented at the Building Minister’s Forum in November. The PPI Group’s policy position paper was developed prior to Mark’s research paper initiated by the ABCB. It calls for AS4020:2005 Testing of products for use in contact with drinking water to be revised to bring acceptable lead levels into line with the US limit of 0.25%, down from the current acceptable upper maximum of 4.5%. The PPI Group has also created a Lead in Drinking Water Working Group to identify critical issues for the future. “Given numerous media articles and an earlier report by Professor Mark Taylor and his colleagues at Macquarie University regarding lead in drinking water, as well as the potential for these matters to often be addressed in a reactionary way rather than a structured and strategic way, the PPI Group formed a Lead in Drinking Water Working Group. It was formed to consider the issues, challenges and the best way forward for the industry, as well as how to effectively reduce the potential health impacts on the community from excessive levels of lead in drinking water,” says PPI Group executive director Stuart Henry. It’s obvious that there is a lot of momentum within the industry for change to occur and there appears to be a consensus that lead-free brassware is the way of the future. However, the transition does present a number of challenges for the industry. “The introduction of lead-free legislation would mean that the majority of products on the market today will need to be redesigned, resourced, redeveloped and manufactured,” says Nick. “Additionally, because the material requires extra production steps and is harder to work with, the manufacturing costs increase. When the US enacted its swap to lower lead tapware, they experienced an increase in costs of approximately 20%. To ensure these cheap leaded alternatives cannot be legally on-sold, Reliance Worldwide export development manager Peter Flynn, who participates in the PPI Group’s Lead in Drinking Water Working Group, says Australia needs to introduce point of sale legislation at the same time. The PPI Group is also advocating for the introduction of Commonwealth WaterMark Point of Sale Legislation, to be supported by the states and territories. “Central to the mitigation of risk from lead in drinking water is the urgent need to introduce Point of Sale Legislation for plumbing products in Australia supported by clearly defined materials specifications, product and testing standards, and robust policing and surveillance at a commonwealth and state level,” says the policy position paper. “Without Point of Sale Legislation for WaterMark, a change in lead content will do nothing to eradicate the proliferation of non-compliant building products within the plumbing sector of Australia. Point of sale requirements would also solve other issues being observed within the current permissible limits, including material compliance after initial certification and non-WaterMark products entering the market. “Ultimately, the driver of this is public health and safety,” says Stuart.